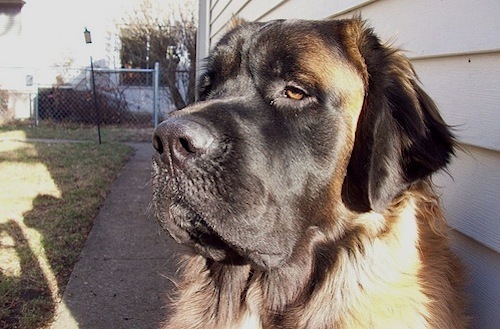 Mastiffs, Saint Bernards and Newfoundlands lead the way as the heaviest dog breeds in the world. Check out the full list of the 10 biggest. 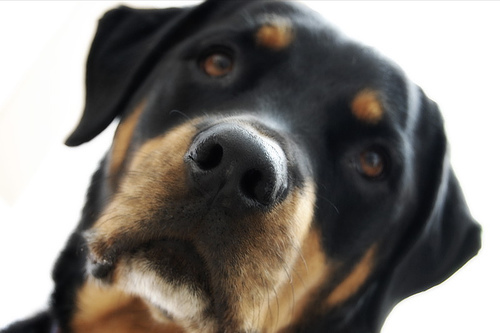 Some people ask us which dog breed is “the largest of them all.” The answer is tricky. 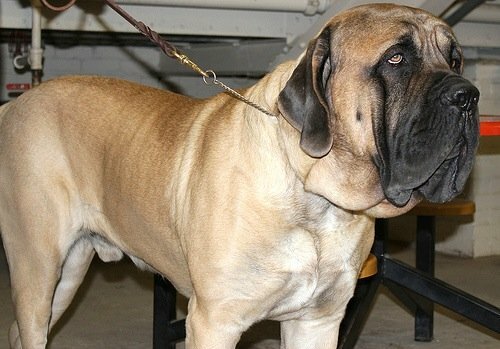 Considering the largest by weight, the winner would be a close call between the English mastiff and the Saint Bernard. An English Mastiff named Aicama Zorba weighed in at a whopping 343 pounds in 1989, setting a world record. However, the Guinness World Records weight category for dogs has since been discontinued, in favor of largest dog as measured by height. I guess they didn’t want to encourage obese dogs. 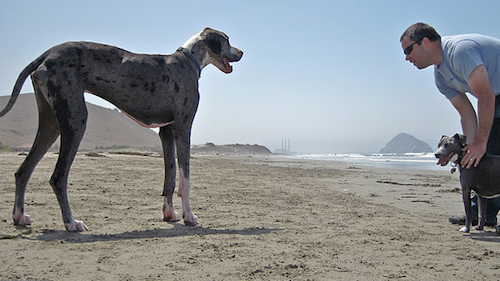 In determining the largest breed of dog by height, the Great Dane could well be the winner. (A 6-year-old Great Dane hailing from Arizona currently holds the Guinness World Record for tallest dog ever. Giant George stands an incredible 43 inches from ground to shoulder!) You can read more about this record-holding dog in an upcoming book, due out in April. When I think of “biggest,” I think “heaviest.” So here is my list of the 10 biggest dog breeds in the world, based on average weight. 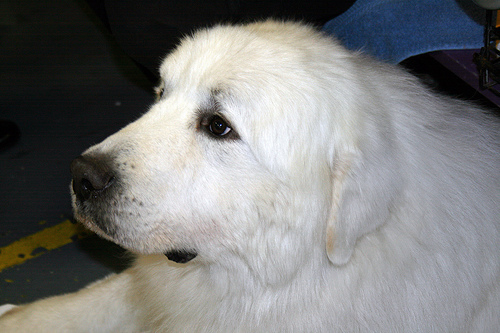 This is one of the largest breeds recognized by the American Kennel Club. 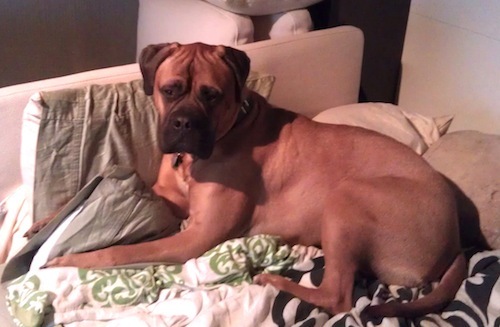 A powerful but gentle and loyal companion, he loves being around people and thrives on family bonding. Because of his enormous size, the English Mastiff is best suited for country living, where he can enjoy lots of space to strut his majestic pride. This breed also seems to prefer the country life. While looking powerful and having a muscular build, they have a gentle temperament. Also, just for the record, there’s no such thing as a dry-mouthed Saint Bernard — drooling is one of their favorite pasttimes. Related: What’s in the Barrel Around a Saint Bernard’s Neck? 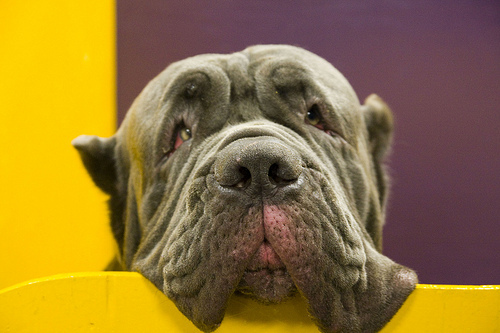 With massive head, bone and body, this breed’s trademark is the loose skin covering their bodies and the many wrinkles and folds on their heads. Because of their strength and temperament, these dogs are not recommended for families with young children or for first-time dog owners. Neapolitans need daily exercise, with care taken not to let them over-exert in hot weather. Newfies are known as “gentle giants” or “nanny dogs.” Although this breed is large, their sweet disposition makes them a great choice for a family pet. An incredibly loyal dog, he will need your loyalty as well, in making sure he gets his daily exercise. 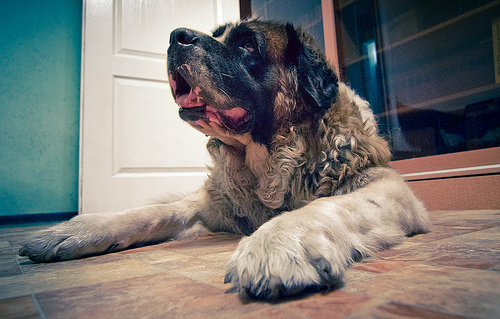 Read our Newfoundland breed profile for more. Although it has the looks of a lion, this breed is quite graceful in movement. 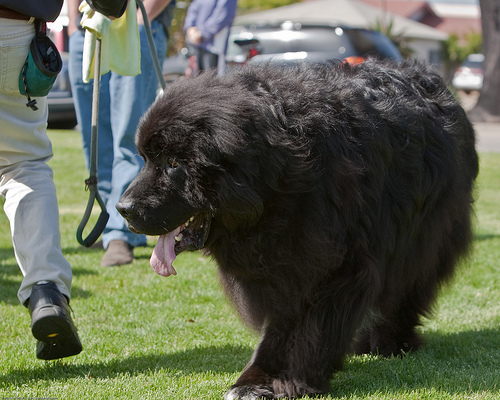 Very friendly toward children, Leonbergers adapt easily to any situations, showing no fear, shyness or aggression. Read our Leonberger breed profile for more. 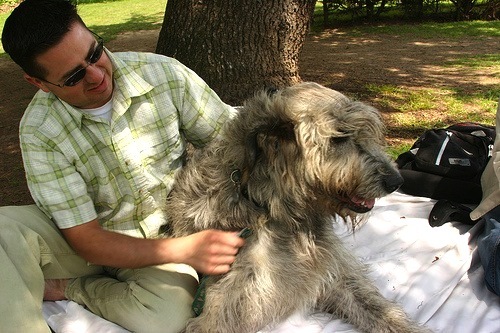 Another “gentle giant,” this breed is referred to as the “king of dogs.” They exhibit a friendly, energy-filled personality and make great family pets. However, please remember that as with all dogs great or small, supervision around young children is a must. Read our Great Dane breed profile for more. The largest and tallest of the galloping hounds, this is a Greyhound-like breed — muscular and strong, yet elegantly built. 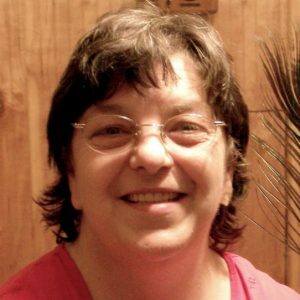 They combine their power and swiftness with keen eyesight. This breed is very smart and has a desire to please, making them great protectors (although they don’t bark much) and family companions. Fearless and confident, they make natural guardians for your home. They are also wonderful in obedience, tracking and therapy work. Named for the mountain range in southwestern Europe, this large dog breed is used to guard flocks on steep slopes. Confidence, affection and gentleness make this an honorable companion dog. Among their good qualities are intelligence, excellent sight and incredible scenting abilities. The weight and life expectancies of the 10 biggest dog breeds in the world, as given in the rankings above, are approximate averages. Keep in mind that there can be a lot of differences in weight within each breed. Photos, from top to bottom: Jeffrey Beall/Flickr, pigelmann/Flickr, audrey_sel/Flickr, mikebaird/Flickr, Raintree75/Flickr, mikebaird/Flickr, Jame and Jess/Flickr, Kellye Rogers, Kjunstorm/Flickr and foxrosser/Flickr.